Finding a paying job as a college student is no easy task! This is one of the most straightforward online jobs you can get. It requires data collection, verification, and manual input into computer systems. All you need is internet, a computer, and a basic data program to start working. There are many companies who need to create content for their websites. This can range from step-by-step instructional pages all the way to social media and blog posts. You will probably have to provide some kind of writing sample to prove your writing ability, but once that’s done you’ll be good to go. To find these opportunities, you can simply google or check out sites such as upwork. Online Graphic Design requires proficiency with photoshop, as well as other design tools. The wide range of tasks within this category means that there will be varying levels of difficulty and therefore pay. For some of the more sophisticated projects, designers can get paid up to $19 an hour! Graphic design opportunities can be found online by searching or on web design focused freelancing sites such as freelancer.com. The “real life” job of a Sales Associate is answering peoples questions and driving sales while maintaining customer satisfaction. The online version of this is fairly similar, but everything is done through the web. If you’re good at dealing with people and being persuasive, consider going into this field. Being a tutor involves meeting virtually with students to help them with subject matters they may be struggling with. It requires expertise in a subject, and the ability to teach and express yourself articulately. This job generally requires more preparation and due diligence than the others, and therefore tends to pay a little more as well. There are many sites such as tutor.com where you can find freelance tutoring jobs. Although not typically available online, one opportunity that many eligible students taking summer sessions don’t know about is that some colleges and universities offer work-study, during the summer too. Students who filed their FAFSA, find out if they’re eligible when they get their aid award letters from their school. Contact your school’s financial aid office to see if they offer financial aid during the summer. Online jobs are great alternatives to regular summer internships. You can also put them on your resume next time you want to apply for traditional work, and it’ll be a good way to show that you have some paid work experience to speak of. 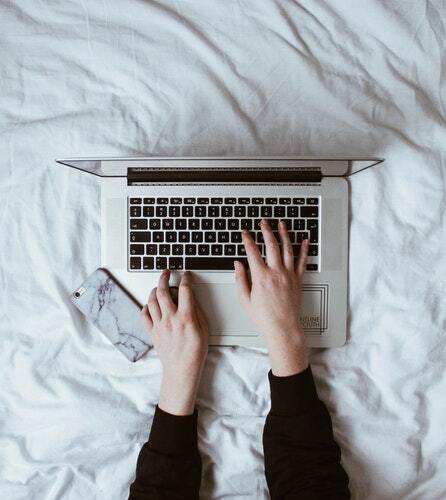 All in all, an online job is a productive way to spend your summer time, and there are a bunch of different options to choose from that fit all kinds of students.